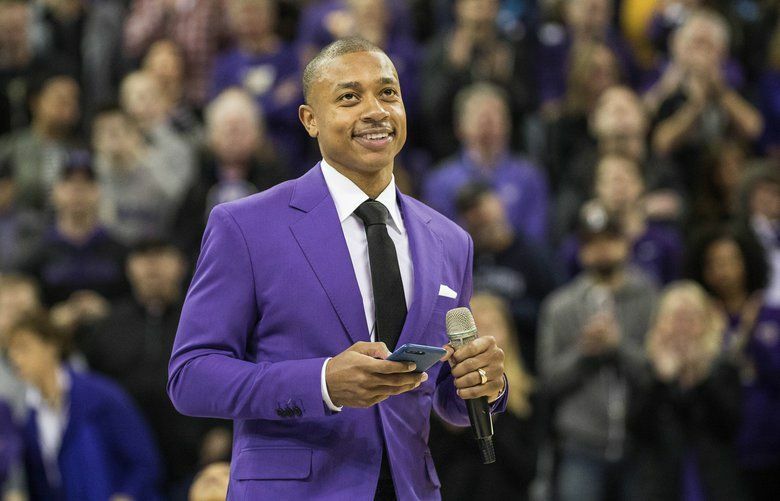 The Huskies retired Thomas' No. 2 jersey at halftime of Saturday's game against Colorado. Watch the full ceremony and his news conference here. 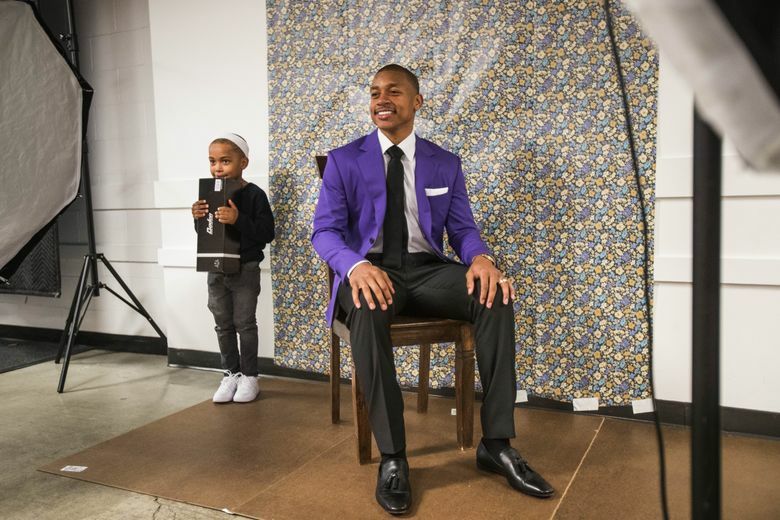 Isaiah Thomas climbed out of a white Bentley parked in a lot at the University of Washington and strolled into Alaska Airlines Arena with that familiar limp and that unmistakable megawatt smile plastered on his face. 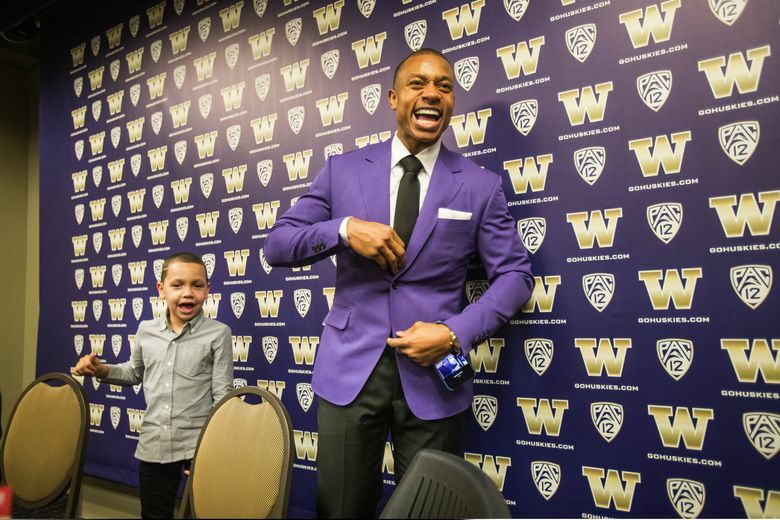 Since leaving the Huskies in 2011, he waited anxiously for the day when he’d return to Montlake and watch his No. 2 jersey unveiled in the rafters at Alaska Airlines Arena. 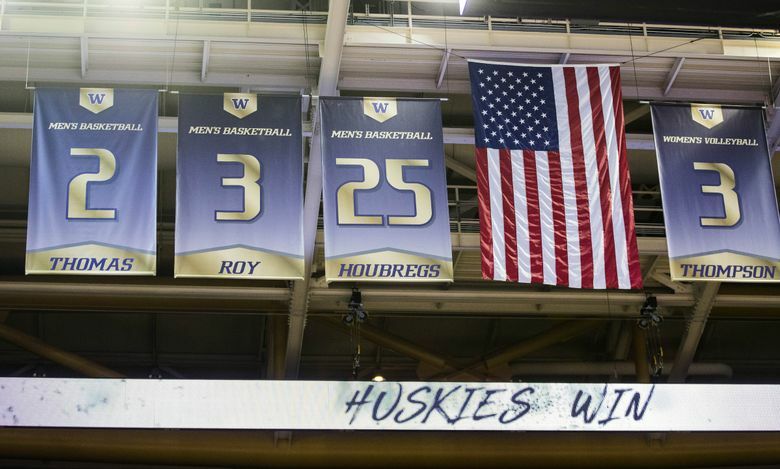 Thomas joined former basketball greats Bob Houbregs (25) and Brandon Roy (3) and volleyball stars Courtney Thompson (3) and Krista Vansant (16) as the only UW players with jerseys hanging in the Alaska Airlines Arena rafters. 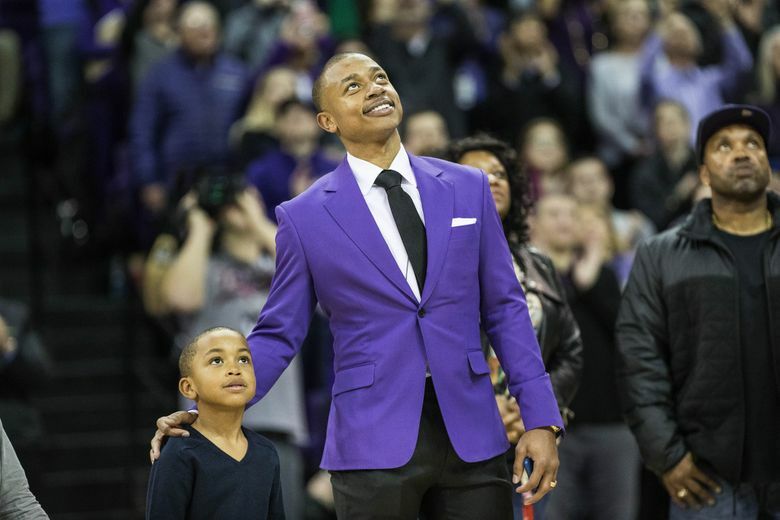 Thomas said UW assistant coach Will Conroy played a major role in getting his jersey retired. During the past year, Thomas went from a starring role in Boston where he led the Celtics to No. 1 in the Eastern Conference to being traded before the 2017-18 season to Cleveland. And he was dealt last week to the Los Angeles Lakers. 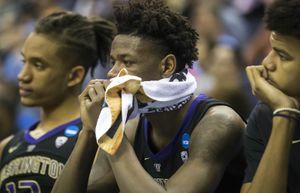 Thomas missed the first half of the season while recovering from a hip injury and last year his sister Chyna died in a car accident. 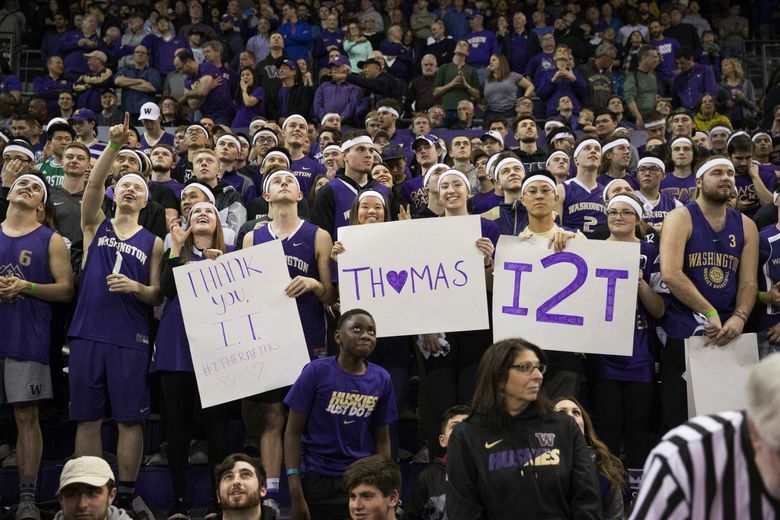 Thomas played three years at Washington and led the Huskies to three consecutive conference championships, three NCAA tournaments and finished his three-year career with 1,721 points (which is now eighth on UW’s career scoring list) while averaging 16.4 per game.